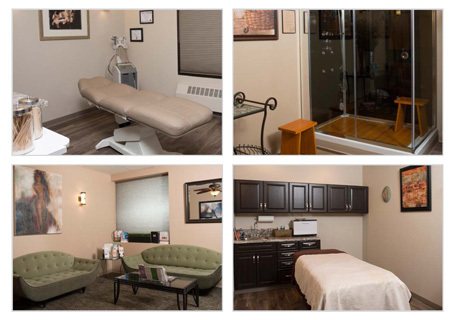 Founded in 2003, Renew MD Medical Spa in Reno is billed as the first and most complete medical spa in northern Nevada. Under the direction of Dr. LaDawn Talbott, the clinic offers the latest non-surgical procedures in the art of skin refinement as well as spa treatments including facials and infrared detoxification. In a medical facility like this, appearance, indoor air quality and client wellness are all important considerations. So when a complete exterior and interior repaint of the spa was scheduled, it was important to choose the best coatings for the job. Sherwin-Williams Paint Shield Microbicidal Paint was used in eight treatment rooms and both bathrooms at the clinic. “The microbicidal quality of Paint Shield was the selling point for us,” says Scott Seidenstricker of Renew MD Medical Spa. 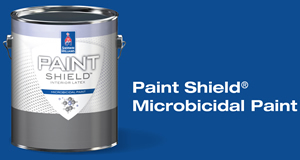 Paint Shield is the first EPA-registered microbicidal paint and kills greater than 99.9 percent of Staph (Staphylococcus aureus), MRSA (Methicillin-resistant Staphylococcus aureus), E. coli (Escherichia coli), VRE (Vancomycin-resistant Enterococcus faecalis) and Enterobacter aerogenes within two hours of exposure on the painted surface. It continues to kill 90 percent of these bacteria even after repeated contamination for up to four years when the integrity of the surface is maintained.